The media industry has long been a crucible for discussions about diversity. Because entertainment shapes conversations about societal norms, media companies have a pronounced need for varied perspectives. Overall, the media industry is staying ahead of the rest of business in the United States on that front; a survey by the National Association for Multi-Ethnicity in Communications (NAMIC) showed that the proportion of people of color among full-time telecommunications employees increased to 39 percent in 2013 from 33 percent in 2011. NAMIC’s work to ensure diversity is far from finished, however. In that same time, the percentage of people of color in executive and senior-level managerial roles dropped from 19 to 15 percent. 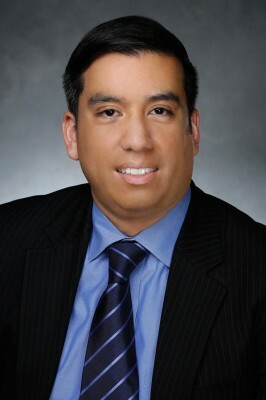 Jaime Rodriguez, national board secretary and executive board member at NAMIC and vice president of business and legal affairs at NBCUniversal, offers a multifaceted look at the industry’s future. Rodriguez, a Harvard law graduate, has almost 10 years of experience in the media industry, with eight spent at Univision Communications, mostly in distribution sales. What is the mission of the National Association for Multi-Ethnicity in Communications (NAMIC)? Our primary mission is to help people of color advance their careers in the communications industry. We offer something for all members of the industry. Those just starting out can take advantage of our conference and networking opportunities, and seasoned executives can participate in our leadership development programs. We also have a large network of active local chapters, mostly made up of younger executives, which gives us a national footprint and presence in most major metropolitan areas. What does your experience at NBCUniversal allow you to bring to NAMIC? Primarily, I bring the perspective of a programmer. This is important because the organization has many board members from the distribution side of the industry. NAMIC believes that it is important to have complete industry representation on the board, the goal being that we offer a unified voice representing the communications industry on issues of diversity and inclusion. Secondly, I bring the perspective of an executive who has benefited from networking within the industry, allowing me to genuinely appreciate the equal importance of distribution and programming in the fulfillment of NAMIC’S mission. Finally, I bring the perspective of a Latino executive to the organization, which I think strengthens NAMIC’s ability to fulfill its mission and grow its membership. By electing me national board secretary and executive board member, the board has acknowledged that it is necessary for the future of the organization to engage with Latinos as much as any other group of color. What sort of progress have you seen in NAMIC’S goal to increase both gender and multiethnic diversity? I’ve definitely seen progress. I can see it in the amount of diversity we have on our board, which consists of high-ranking executives from just about every large cable distributor and programmer. But there’s still more work to be done, and I think NAMIC will continue to play a major role in that. How is NBCUniversal committed to diversity and inclusion? There is undoubtedly a commitment at the highest level to diversity. Comcast (which owns NBCUniversal) knows diversity is good for business. We have the Joint Diversity Advisory Council, which is made up of national leaders in business, politics, and civil rights. They’re tasked with providing advice and counsel on our organization’s diversity and inclusion strategies. We also have a corporate office of diversity and inclusion, which is entirely devoted to leading our inclusion efforts. The office is very active—from supporting each business unit’s diversity needs to helping employee resource groups to managing our philanthropy that serves diverse communities. On an informal basis, we have local employee resource groups. The company not only supports them, but Comcast and NBCUniversal go a step further by hosting the leaders of the various groups at an annual leadership development summit. That’s a really impressive commitment on Comcast’s part. How does inclusion manifest at NBCUniversal? You see it at all levels at NBCUniversal and Comcast. Our senior executives are a diverse group. In 2013 more than 50 percent of individuals at the director level and more than 46 percent of individuals at the vice president level for both companies were diverse (meaning ethnic minorities and/or women). Furthermore, between 2010 and 2013, women made up the highest percentage of net hires and promotions to vice presidential positions at both companies. This has resulted in one-third of our senior executives at NBCUniversal and Comcast being ethnic minorities and/or women. That speaks volumes about the commitment at NBCUniversal and Comcast to diversity and where we, as a company, are going because these individuals are its future.